An experienced and dynamic spekaer, Debra Wein, MS, RDN, LDN, CWPD will engage your audience and motivate them to adopt and maintain healthy lifestyle behaviors and change their lives forever. With degrees from Cornell and Columbia Universities and a personality to inspire, your attendees will be jumping out of their seats to get started or continue on their path to personal well-being. Debra has spoken for groups including the US Navy Seals, US Coast Guard, MIT, Brown University, Putnam Investments, The Anerican College of Sports Medicine, The New England Employee Benefits Council. IDEA, US Olympic Coaches, Harvard Business School and many more! 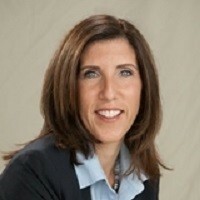 Find out more about Debra Wein, MS, RDN, LDN, CWPD, ACSM-HFI at https://www.linkedin.com/in/debrawein.